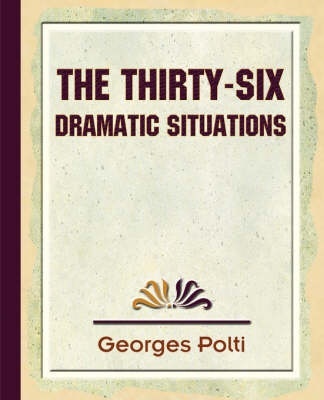 “The 36 Dramatic Situations” is a 19th century book by french author Georges Polti. By analyzing Greek texts and contemporary French writings, Polti attempted to categorize every dramatic situation that might occur in a story. In the book, Polti offers examples and explanations for each of the situations. While they are much too long to go into here in detail, I posted this article to introduce the work to those that may not know of it, with the hopes that it may spark some creativity in those DM’s looking for adventure ideas. The most important thing in a story is the drama within it, and this list is a great way to start finding those dramatic situations that you may have trouble capturing. The book is not under copyright. You can find many forms (txt, pdf, etc.) of it here. This has to be one of the cooler things I’ve seen in a while. Very nice. Very useful for any sort of creative writing endeavor. Thanks for posting this! I’ve had that in my random file of stuff to use for inspiration and story for a long time. This’ll be a great supplementary work to what I’ve already learned from ‘The Writer’s Journey: Mythic Structure for Writers’ by Chris Vogler. I ordered it on Amazon Thanks. Anyway, thanks for an interesting post.